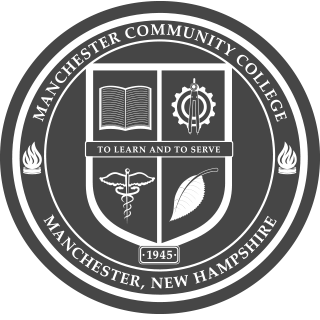 If you are interested in attending Manchester Community College as a matriculated student, complete the above application or apply online. To be completed and submitted by students accepted into Allied Health programs requiring a clinical or practicum such as Nursing, Medical Assisting, and Phlebotomy. Please direct questions to the appropriate Program Coordinators. As a new student, you are required to take the Accuplacer placement test. Complete the form in order to take the assessment. As a new student, this form allows MCC to discuss your Academic and Financial Aid information with additional parties that you provide. All students are required to have a parking permit on their vehicle if parking on campus. Submit this form to the Office of Campus Safety or the Receptionist. Did you recently move or get married? Get a new cell phone number? Fill out this form and return it to the Registrar's Office. Students wishing to get their credits certified for VA benefits must complete this form each semester. Complete this form if you would like to change your major, or complete more than one degree at the same time. Within the withdrawal period, students are allowed to add or drop a course, with approval from the instructor. Prerequisites for courses can be waived if the instructor believes the student is capable of succeeding in the class without the necessary course requirement(s). Complete the form and return to the Registrar's Office at the time of registration. For current students who would like to enroll in courses for any term. Students can also enroll online through the Student Information System (SIS) after completing their first semester at MCC. To have your academic record sent to another school, please fill out the above form and submit to the Registrar's Office. Even though you can just drop-in for tutoring in the new Math & Writing Lab, you still have to complete a form when you come in or beforehand to receive help. The list of tools & supplies that you will need during your Automotive courses. The list of tools & supplies that you will need during your Electrical Technology Degree Program courses. The list of tools & supplies that you will need during your HVAC courses. The list of tools & supplies that you will need during your Welding Degree Program courses. Students who have completed their academic requirements and wish to receive their degree, must complete this form in order to finalize their graduation. Help the college keep in touch with you after you graduate by completing this form. If there are any important notifications or documents that need to be sent, we need to have an up-to-date address. Students who have met the requirements of their certificate program must complete this form if they wish to receive a certificate. If you are hosting an event, the facilities and classrooms at MCC are available for rental through the Workforce Development Center or Registrar's Office.